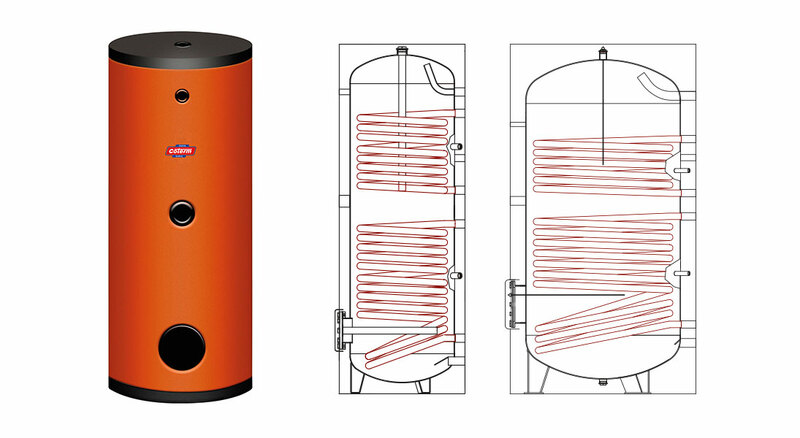 Series SPS boilers are provided with two fixed coil exchangers. They are particularly indicated for installation in systems with solar panels for the production and storage of domestic hot water. The carbon steel boiler lined internally with porcelain enamel at 860°C, in strictest compliance with DIN 4753 standard, and the magnesium anode, proportioned for the surface to protect, ensure longlasting protection against corrosion. A dual electrode electronic anode is fitted standard in the SPS 1500/2000 litre models. Insulation in models up to 500 litres is provided using CFC-free polyurethane foam injected directly on the boiler, with external PVC finish, thereby guaranteeing the excellent thermal insulation of the boiler and the reduction of heat dispersion from the water to a minimum. The insulation in models from 800 to 2000 litres incl. consists of 100 mm thick soft polyurethane with external PVC finish. Fill in the form below to be e-mailed the SPS SERIES BOILERS technical data sheets. Thank you.